At about the same time that blue Monday comes along each January, there is a group of us only just starting their new year. And no, it’s not the Chinese, although it is fair to say that the I Ching, their book of wisdom and changes, has something to do with it. In the world of Human Design, the new year starts in the third week of January, tracing the path of the sun, just as in astrology, but now through the 64 hexagrams of the I Ching. And so on the 22nd January 2019, the sun returned to its starting point at the 41st key, the startcodon for this integration of various esoteric and mystical systems, devised and developed by Ra Uru Hu. Every six days or so, the theme that influences us as the body of humanity will change, and it is my intention for the coming months to follow the path of the sun though my blogs as we swerve around the Wheel of Samsara. For a number of years now, I’ve been working with Human Design and Gene Keys, an offshoot of the Human Design system. Whether you ‘believe’ in the influence of the planets on our daily lives or not doesn’t really matter, as each archetype applies to the human condition and is interesting enough in its own right. This first key of the year is about working with our dreams and our fantasies. The theme of this 41st key is the primary evolutionary pressure that encourages every person to really experience life, instead of just surviving it, like animals do. To experiment in all kinds of ways with our human form and its myriad expressions. By fully immersing ourselves in the experience of life we gain new insights and ideas, through which humanity can grow. And this is not just external growth, such as new inventions, and more societal cooperation, but also internal growth, where the ego or little self is increasingly lit up by the light of the higher Self or soul. Familiar ground for those who are comfortable in the psychospiritual field of Transpersonal psychology. In the frame of the Gene Keys, developed by Richard Rudd, it is the journey from the survivalist fear frequency of the ‘shadow’ to the openhearted trust frequency of the ‘gift’. This key is the first step on the Wheel of Samsara and he calls it the Primary Emanation, the first outpouring. It is the stream that pours out from the All, from the One, and will forever return back into it. If you look at the themes of the five keys leading up to this week, you will see how the Wheel of Samsara slowly led us into this new cycle. The theme of the 10th key asked us who we really want to be, the 58th asked us what we can and want to change, while the 38th asked us reinvigorate our spiritual warrior. The 54th key examined what our place is in the whole, and who our allies are. The 61st key brought us back into contact with the right inspiration and finally the 60th key injected some reality into it. And now we are ready for a new dive. This alternative start to the new year is filled with emotional desires, which is often why our good resolutions from the 1st January having fallen by the wayside in the third week of January. We want to feel that we are alive, we want to go out there and do new things, we dream and fantasize about another world, a better world, or maybe our own professional success. And where that process gets frustrated, we feed our longing with food, drink or work instead. And so, those of us who consciously want to work with this energy, can use this week to explore whether they filter this fantastical dreamlike energy through a fear filter, where it gets stuck, and diverted in satisfying our life hunger in other ways, or from an openhearted loving and trusting frequency. The themes of this key are fed by an inner knowing of what’s next in the great dance of human evolution. And so, in the eyes of the rest of the world, these dreams sometimes get dismissed as impossible fantasies. People with this key active in their personal profile are often visionaries, or virtuoso’s like Mozart. Dragging their futuristic genius from some hidden cosmic database, akin to Rupert Sheldrake’s morphogenetic field. They stand high on a mountain and bring the future into the present. Think Bill Gates, who dreamt of a ‘computer in every house’, and how he was scorned by the rest of the community. Very few people have the courage to uphold their convictions, while many more, like you and I, stop allowing their dreams to inform their daily lives. The fear frequency of this key is populated by very young subpersonalities, who were told by well-meaning teachers and parents that their dreams were impossibly naïve and their endeavours far too idealistic. I can well imagine that eventually you became afraid to utter your inner ideals, visions and fantasies at all. And if not because you’re afraid to be declared idealistic, then because you see the enormous gap between dream and reality and therefore prefer to stay in the fantasy to escape the pain of an imperfect reality. All creative people know that feeling of inner disappointment that no piece of artwork will ever resemble the spark of spiritual inspiration that gave birth to it. A bit like us humans! So how do you reconnect with your dreams and get over the fear of being labelled mad or an idealist? How do you meet the reality of your own imperfection? You open your heart, you stop being attached to the outcome, and you try and allow yourself to be as clear a ‘transmitter’ as you can be. Richard Rudd calls this the Gift of Anticipation. Its is the midway point between acting out your dreams hyperactively, with no connection to Source, or hiding your dreams under the proverbial bushel. Anticipation is a form of active waiting, nose twitching in the wind, ready to strike at the right moment. The I Ching pictogram for this 41st key shows a gardener who cuts back the garden in the autumn so that it can flourish again in the spring. Nothing of its innate potential is lost because it is buried deep in the core of every plant and every tree. We too can learn, as wise gardeners, to anticipate the needs of our collective common garden and we can learn to sort wisely among the inspirations and dreams that need pruning, and those that are ready to emerge from our primary source and be brought into being. But first you must reconnect with that part of yourself where dreams and fantasies arise, and thus the pain of having been unable to articulate them. And you have to sort the ego-driven, and therefore often fear-driven dreams, from those that serve humanity. With anticipatory patience and detachment, and without getting hung up on the outcome, we can learn to tend to our inner garden so that we can serve the common good. And we are challenged to share that inner essence as cleanly as possible, without contaminating it with our own mental and emotional expectation energy. Only then can it emerge in its purest form. This truly is about bringing spirit into matter. Just as the tree faithfully follows an inner programming without crying, “yes but… can I put it on Insta, and am I too fat in this bark, and what will I gain from growing here?” Just do it! Connect to source. And then just do it! Use the energy of the 41st key this week to take all your frightened, visionary, subpersonalities on your lap and comfort the ego-parts that took a vow of silence, so as never to be ridiculed or disappointed again. And with the wise love of the Gift of Anticipation, reject the inspirations that are not (yet) feasible, and select those that are ready to be communicated in the coming year, in order to inspire others. Then stop worrying about what others think and be unattached to the outcome of your ideas. After all, isn’t it the height of arrogance to think that we, as a mere individuals, can ever see more than a tiny part of the whole plan? We’re just grains of sand on a beach. But every individual grain of sand has something to contribute. And the inspiration of the 41st key is not for ourselves, but for others, showing humanity the way of the future. In the coming days we can all tap into our inner and outer leadership potential, to experience what it is like to be in contact with this morphogenetic field of the 41st key, in which everything that once was, and everything that will ever be, is stored. Maybe you will pick up a tiny grain of inspiration there and set to work externalising it as best you can. So tell me, how are you going to sort through your inner world of longings and dreams and fantasies this week? Will you search out and comfort your fearful and embarrassed subpersonalities and encourage them to speak their dreams. 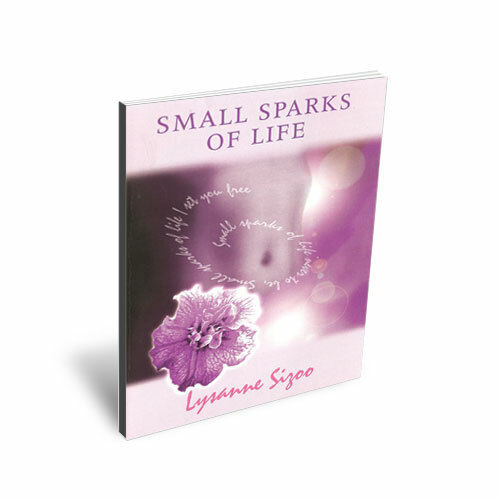 Are you prepared to make your small contribution to the next birthing wave of humankind? Can you learn to wait for the right moment to push, and then have the courage to follow through and really push!!! I work as a coach, counsellor and psycho-spiritual psychotherapist. If you would like to know how these 64 astrological keys affect your personal journey, as we each get a unique set of keys to help us learn the lessons we are here to learn, then please contact me for an integration reading that brings together Human Design, Gene Keys, Psychosynthesis, I Ching and other relevant systems. Putting your dissatisfaction to good use Co-dependence or interdependence?